Layer 2 Switch is an indispensable part of Network setup in LAN environments. Configuration of Layer 2 Switch is little different from that of Router or firewall where the interfaces are Layer 3 ports and IP address needs to be assigned to the physical ports . 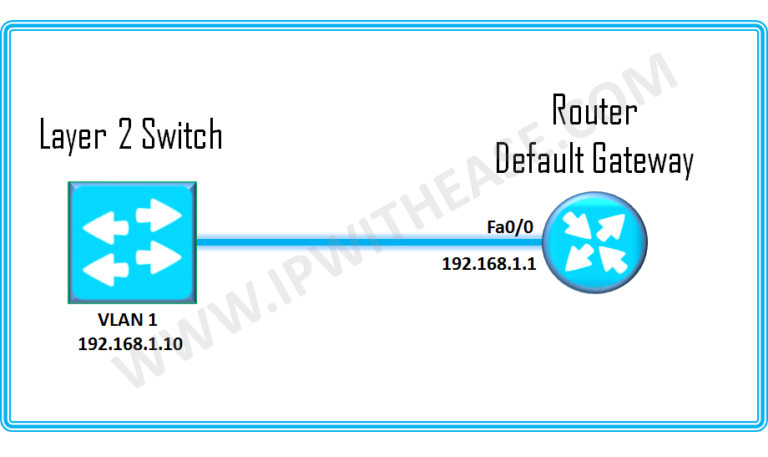 Contrary to Router/Firewall configuration, Layer 2 Switch has ports configured as Layer 2 which can’t be given an IP address, instead SVI (Switched Virtual Interface) needs to be assigned an IP address. Layer 2 Switch is assigned IP address to manage it via Telnet or SSH services. Once VLAN 1 is configured with IP address , we configure the switch with default Gateway (in this case Router) IP address.